But is there an audience hungry for a series that serves up solutions to this country's collapsing food system? Especially one without a famous food icon (or, for that matter, foreign food personality with a flair for the dramatic) attached. The Bay Area team behind Food Forward thinks so. Indeed, the creative crew on this prospective TV series is so confident (some might say crazily optimistic) that they're kicking off their program with a pilot all about urban agriculture. That's right, readers, there isn't a kitchen makeover or celebrity chef in sight. Instead, Food Forward profiles people around the country who are making a difference in communities where good food is hard to come by. These farm folk work in small-scale sustainable food production, as rooftop farmers in Brooklyn, New York, greenhouse growers in a mall in Cleveland, produce planters in abandoned lots in Detroit, or urban homesteaders on vacant land in Oakland. The film trailer boasts several food heroes with Bay Area roots including Oakland's Abeni Ramsey (a beneficiary of the City Slicker Farms backyard garden building program, she now provides produce to community CSAs and local restaurants like Flora via Dig Deep Farms, and City Girl Farms), Santa Cruz fisherman Hans Haveman and school lunch reformer Ann Cooper, who moved on to Boulder, Colorado, after a stint in Berkeley schools. Everybody knows that our food system is broken and that factory farming is bad for us. That's been well documented by people like Michael Pollan and films like Food, Inc. It's also depressing: How much bad news can people take? We wanted to pick up where Food, Inc. left off and showcase some solutions to the problems around the country. There are a lot of positive things going on right now and we wanted to capture that. This is reality TV in a sense, but I prefer to think of it as cinema verite. Someone who is going beyond sustainable, local, organic -- all these things we've heard about and get kicked around all the time -- and is doing something cutting edge to help their community, like aquaponics or hydroponics. Our film has a bit of a punk rock aesthetic, these folks are a bit subversive, that's why we call them food rebels. They're not waiting for foundation grants or government assistance, they're part of the D.I.Y. generation, they're just doing it on their own and making change. They're the next generation of farmers. Abeni Ramsey was a wayward teen in West Oakland, who took a life-changing trip to Africa, where she witnessed hunger up close. 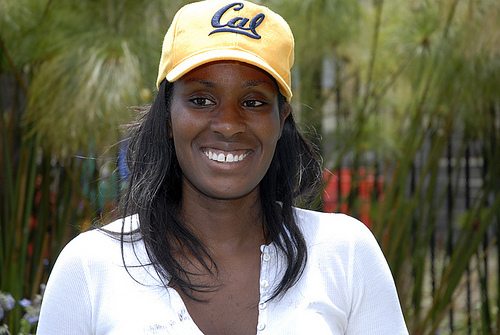 She came back to the Bay Area and decided she wanted to make a difference, literally, in her own backyard. 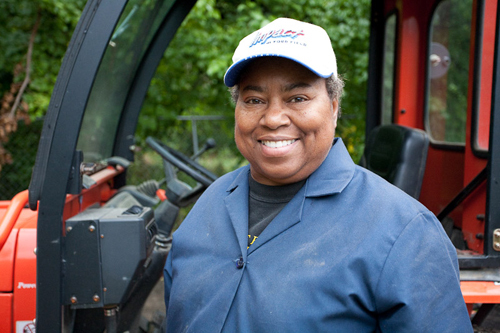 And she has: She's worked to get food to people in need through community gardens. 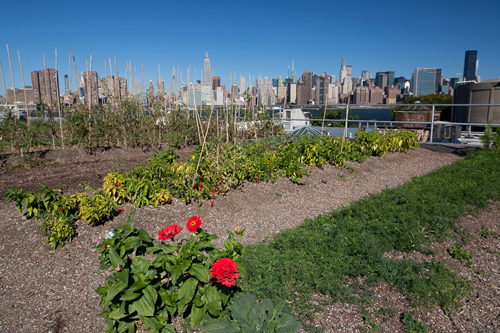 John Mooney, who owns Bell Book & Candle, runs an amazing rooftop garden in the West Village of New York City that, during the height of summer, provides something like 80 percent of his restaurant's produce. He's an example of what a little ingenuity, creativity, and patience can do. 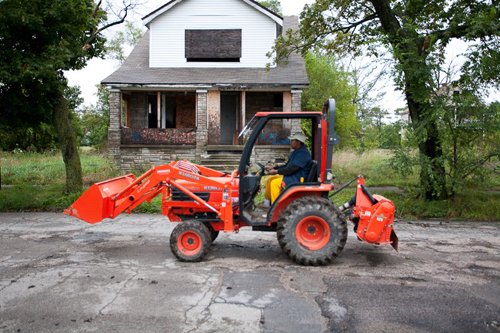 If one production still could speak for the series it would be an image of Edith Floyd, an African American woman on an orange tractor plowing an abandoned area in Detroit. We've all seen the pictures of urban devastation coming out of Detroit, but here is one woman making a huge impact on a whole neighborhood by planting all kinds of produce in her Growing Joy Garden. What's the idea behind the Food Forward road trip this summer? It's both an awareness campaign and a fund-raising tool. We've identified enough food heroes to fill two 13-part series. We want to get out there and meet them, give people around the country an idea of who they are, and spread the word about the series. Stett Holbrook is towing a vintage 1965 Airstream trailer and people can follow his adventures and learn more about the food rebels we're featuring on his blog and in other online content. What's your personal connection to food? I'm a flexitarian, leaning towards the vegetarian end of the spectrum, who struggles every day to make healthy eating choices. Working on this project has helped get me back on track food wise. I grew up in Southern California on a ranch, my family grew citrus, it was a hobby farm. My maternal grandparents raised cattle in Southern Oregon. So farming is in my blood. But where my food came from was never that important to me. It is now. Thursday, June 2, 6 p.m.- 10 p.m.